This is a high quality removable decal made in the USA by Wall Sayings Vinyl Lettering. 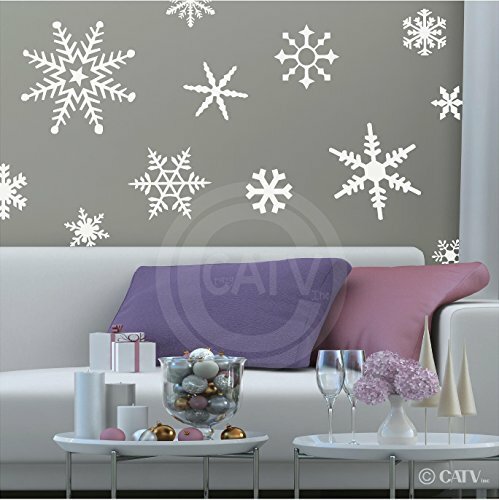 You will receive one set of 12 white snowflake decals as shown in the picture. 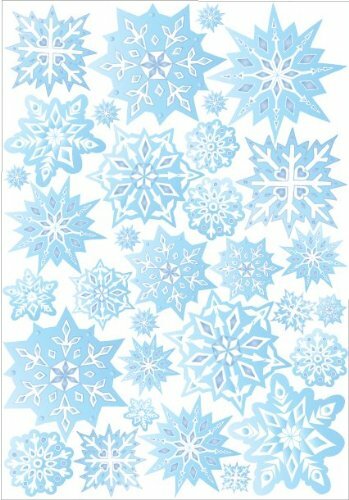 The snowflakes come in the following sizes: 2-4", 3-5", 2-6", 2-7", 1-9", 1-10.5", and 1-12". It comes ready to apply on pre-spaced application tape and includes easy to use application directions. Our customer service phone number is included with all orders so you have someone to call if you have installation questions. Vinyl Lettering is one of the latest trends in home decor, these vinyl decals are removable (but not re-usable). This high quality decal gives the look of being hand-painted without the cost, time, mess, and permanent paint on your wall. You can apply them to walls (smooth or lightly textured), dorm rooms, mirrors, windows, doors, cars, books, lockers or almost any flat surface. If you ever need to remove it use a blow drier to heat up the vinyl while you slowly pull it off the wall, you'll never know it was there. This is a high quality removable decal made in the USA by Wall Sayings Vinyl Lettering. 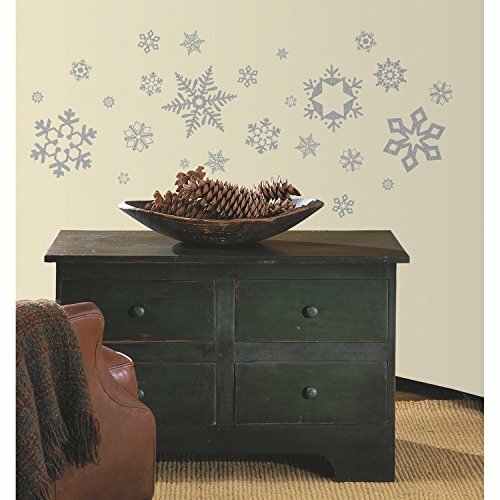 You will receive one set of 30 white snowflake decals as shown in the picture. 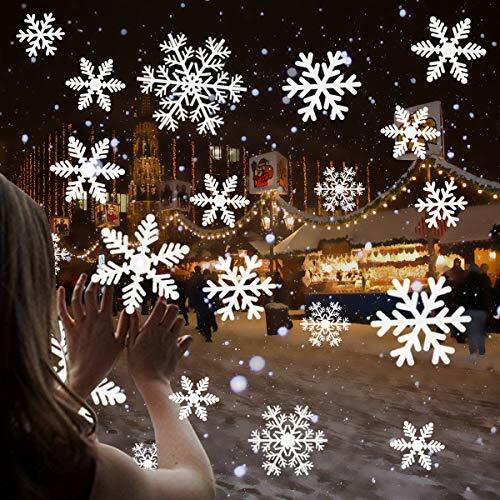 The snowflakes range in size from 1" to 5". It comes ready to apply on pre-spaced application tape and includes easy to use application directions. Our customer service phone number is included with all orders so you have someone to call if you have installation questions. Vinyl Lettering is one of the latest trends in home decor, these vinyl decals are removable (but not re-usable). This high quality decal gives the look of being hand-painted without the cost, time, mess, and permanent paint on your wall. You can apply them to walls (smooth or lightly textured), dorm rooms, mirrors, windows, doors, cars, books, lockers or almost any flat surface. If you ever need to remove it use a blow drier to heat up the vinyl while you slowly pull it off the wall, you'll never know it was there. 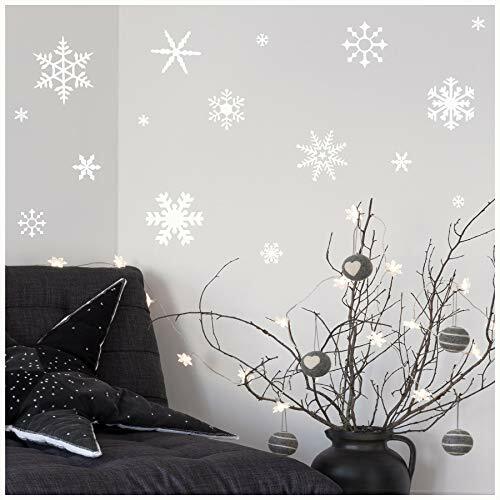 These Sparkly Snowflakes Winter Decorations are perfect for Holiday Decals. 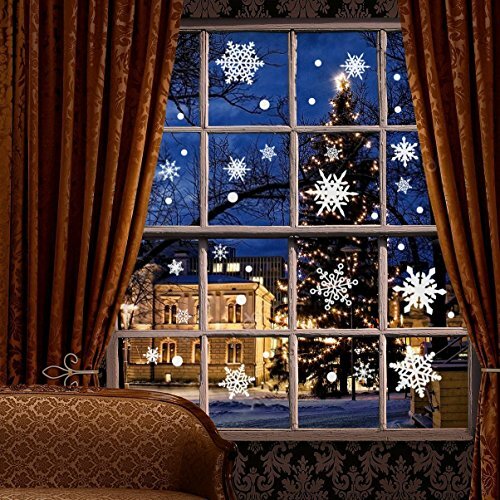 They stick to the windows or walls by themselves and won't damage your window or mirror after peeling off. 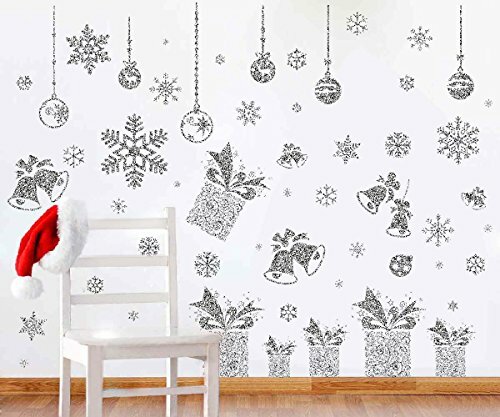 Total of 64 Glitter Snowflake Window Decoration Stickers, 5 Bell Stickers, 6 Gift Bag Stickers, 6 Ornaments Stickers in Different designs and sizes. This is a high quality removable decal made in the USA by Wall Sayings Vinyl Lettering. You will receive one decal as shown in the picture. It measures 12.5"H x 27"W. It comes ready to apply on pre-spaced application tape and includes easy to use application directions. Our customer service phone number is included with all orders so you have someone to call if you have installation questions. Vinyl Lettering is one of the latest trends in home decor, these vinyl decals are removable (but not re-usable). This high quality decal gives the look of being hand-painted without the cost, time, mess, and permanent paint on your wall. You can apply them to walls (smooth or lightly textured), dorm rooms, mirrors, windows, doors, cars, books, lockers or almost any flat surface. If you ever need to remove it use a blow drier to heat up the vinyl while you slowly pull it off the wall, you'll never know it was there. The entire cast of Ben 10 leaps into your room with this peel and stick border. It's easy to apply, remove and reposition whenever you please. The border features Ben and the rest of the gang in action poses. It matches perfectly with RoomMates Ben 10 wall stickers and murals (sold separately). 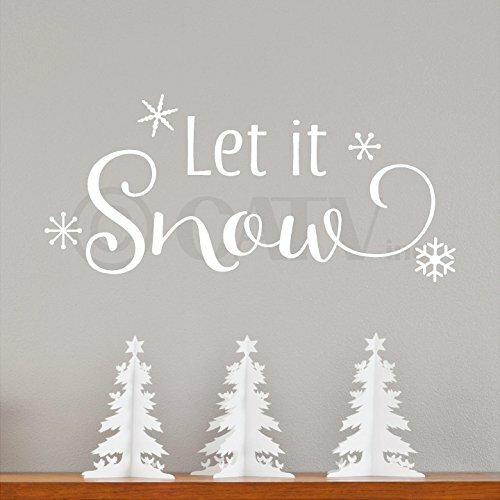 This wall decal is the perfect addition to create a winter wonderland in your own home! Included is one wall decal. This product is made of vinyl.